This week will see the longest Lunar Eclipse of the 21st century and, with that will come one of the most powerful karmic shifts we have experienced to date. 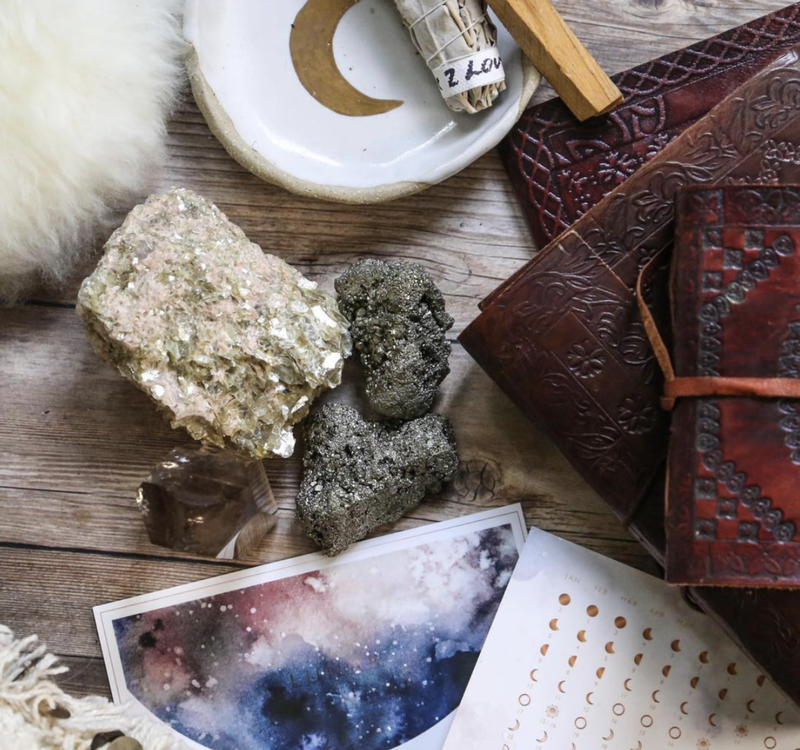 To help us prepare, we spoke with Jordanna Levin, a lunar lover, writer, yogi, podcaster, and Astrologist in training to discuss everything from rituals, crystal to essential oils. What's so special about this week's Eclipse? In the early hours of Saturday morning a Total Lunar Eclipse will take place. It's the longest eclipse that we have experienced in the 21st century and it will be visible in Australia (if you fancy a 5:30am AEST wake up). Also known as a Blood Moon because of it's red tinge, a Total Eclipse occurs when the Earth blocks the sun from the moon, by coming in between the two. From an energetic and emotional perspective eclipses stir us up big time, but it's all for our benefit (although at the time it doesn't always feel like that). Emotions, situations, and relationships are often brought to the surface that needs to be dealt with and released, and the beauty of an eclipse is that it will often force you to face the things you've been avoiding in order for you to expand, upgrade and move through them. What are your full moon rituals? The Full Moon is all about slowing down and surrendering. It's a beautiful time to release and let go of things that no longer serve. It's also a wonderful time to practice forgiveness and gratitude. I set aside some time on the night of a full moon to write down the things that I'm ready to let go of, the things and people I need to forgive, and everything in my life that I'm grateful for. When you can commit to this ritual monthly it's a beautiful energetic cleanse for your soul. The Full Moon is also the perfect time to pop your crystals out in the moonlight to cleanse and recharge them. Do you use essential oils or crystals to support your full moon rituals? I have a Full Moon spray that I use every Full Moon as part of my ritual practice that consists of Vetiver, Cedarwood, Lavender, Black pepper, Juniper Berry, and Cardamom. It's grounding, calming and relaxing the perfect support for the Full Moon energy. There are no specific crystals for a Full Moon, it depends what energy you need to call upon. If I feel like I need some extra love and warmth I'll opt for rose quartz, if I need to ground and relax I'll opt for amethyst, if I feel anxious or stressed I'll make sure there is plenty of citrine around. Whatever crystals you use don't forget to allow them to soak up the Full Moonlight to cleanse and recharge. Any tips for the coming weeks, to stay grounded? Saturday's eclipse is the second of an eclipse trifecta that we're experiencing. We've also got Mercury Retrograde kicking off on Wednesday, July 25 and it will be hanging around for 3 weeks. So staying grounded and most importantly embodied is super important at this time. I stay grounded by practicing a daily meditation (even if it's only 5 minutes), taking the time to focus on the breath ensuring I'm breathing deep through the nostrils and also making rest a priority by practicing some restorative yin yoga.